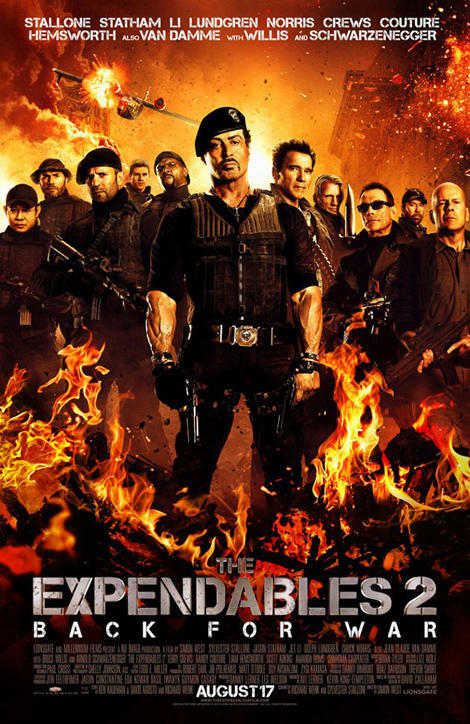 Here’s the new poster for “The Expendables 2.” | The Cineaste's Lament. ← New “Dark Knight Rises” trailer is … well … dark. Don’t you just love movie posters and their ability to turn back the clock? This entry was posted in action, Film News, Guy Cinema and tagged 80s action stars, Chuck Norris, Jason Statham, Jean Claude Van Damme, Jet Li, Sylvester Stallone, The Expendables 2 poster. Bookmark the permalink.